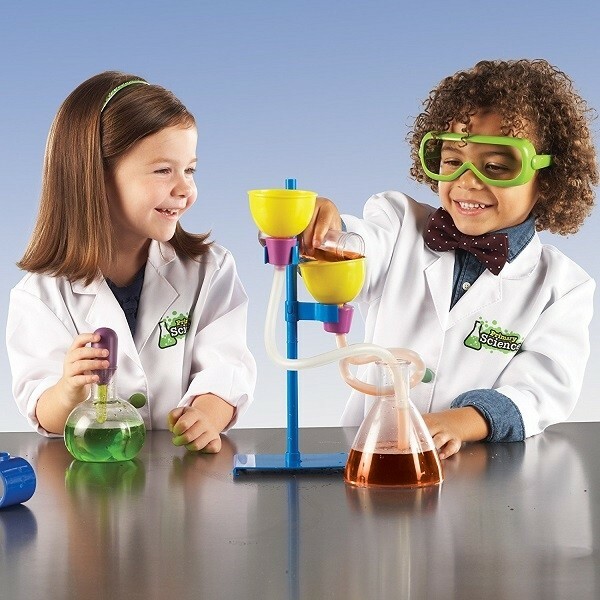 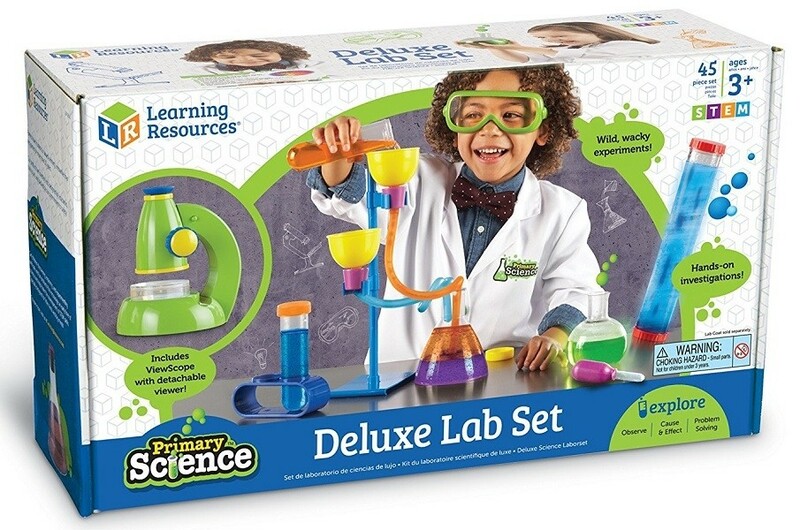 Budding scientists will have a blast conducting their own experiments using the Primary Science Deluxe Lab Set! 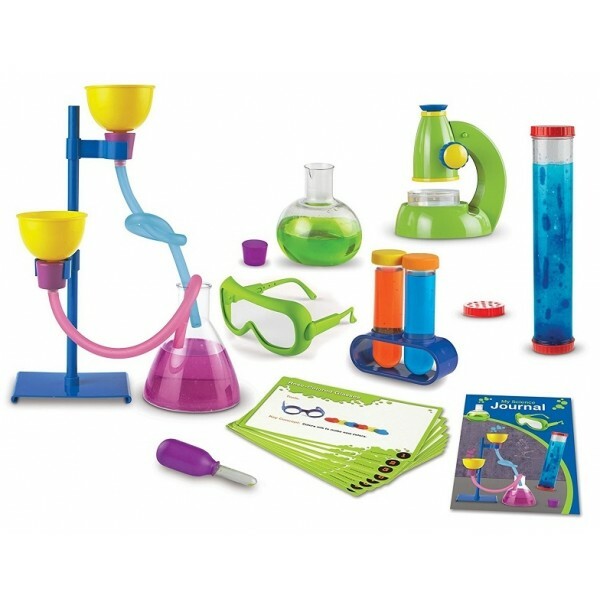 Kids can follow the step-by-step instructions while sharpening skills like problem solving, sequential thought and math concepts. 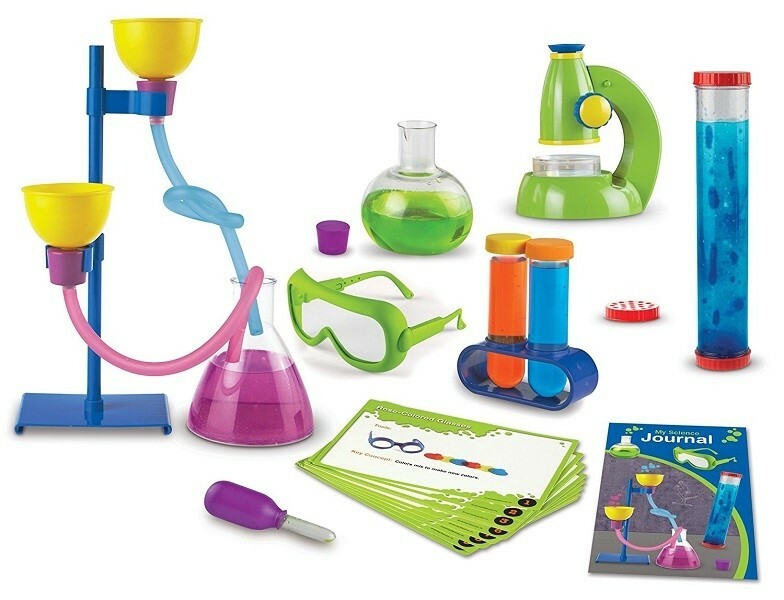 Sturdy, long-lasting pieces and comprehensive activity cards encourage early scientific learning, while the included write-and-wipe journal is perfect for her to jot down lab notes.